Though the media often portrays Tai Chi as an ‘ancient Chinese art,’ it is in reality a profoundly modern martial art, developed during the Chinese martial renaissance of the eighteenth and nineteenth centuries. Put simply, there is nothing ancient about Tai Chi. Its postures, movements, and theories are products of a distinctly modern ethos: economy of movement, efficiency of application, and sophistication within seemingly simple techniques. Among Tai Chi styles, the Wu branch is especially modern. Its roots trace to a Manchurian military officer, Chuan You (1832-1902), who learned Tai Chi from the great Tai Chi master Yang Lu Chan in the Royal Army of the Qing Dynasty. Due to federal protocol, Chuan You had to become the disciple of Yang’s second son, Yang Bang Hou, though Chuan You’s de facto teacher was Yang Lu Chan himself. Chuan You’s son, Wu Chien Chuan (1870-1942), is the creator of present day Wu style. Manchus used tribal names prior to the turn of the twentieth century, and the adoption of the Han surname Wu came about following China’s political shift into a republic. Chuan’s tribal name, U Jia Ha La Shi, was truncated to U, which shifted to Wu under Chinese linguistics. Wu’s student Ma Yueh Liang, also Manchurian, underwent a parallel process by which his tribal name, Ma Jia Shi, became the Han surname Ma. 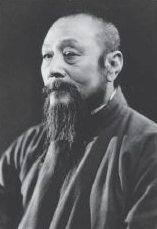 Xi Yui Sheng (1879-1945), founder of the Athletic Research Institute of Peking, invited Wu Chien Chuan to teach Tai Chi Chuan to the general public for the first time along with Yang Chen Fu (1883-1936), founder of modern Yang style, and Yang Shao Hon (1879-1945) of the small-frame Yang style. Master Wu later left Peking for Shanghai, and founded the Shanghai Chien Chuan Tai Chi Chuan Association in 1935. The association was inherited by his eldest daughter, Master Wu Yin Hua (1912-1996) and her husband, Master Ma Yueh Liang (1900-1998), who is remembered as one of China’s 100 national treasures. The association has now been inherited by their eldest son, Ma Hui Long. Master Johnny Kwong Ming Lee, a student of Ma Yueh Liang, is our connection to Wu style Tai Chi Chuan. In Beijing, Wu Tai Chi was carried on by Chuan You’s student, Master Wang Maozhui, who handed it down to Master Yang Yuting. Wang Pei Sheng now carries on the line. The Beijing lineage of Wu style places more emphasis on Chinese five element and eight hexagram theory. They focus especially on vital points to move chi in a daily routine. This form of Wu style is distinct from the rest of the style, and is known as Northern Wu. Wu Chien Chuan’s early students, Wu Tunan and Chuan Zee Yee, carried on an alternate branch in Beijing, though it is unclear how different this branch was from the Northern Wu. Wu Chien Chuan’s sons Wu Kung Yee and Wu Kee Chu developed the style in Hong Kong and southeast Asia. Chan Wing Kwong, a student of Wu Chien Chuan, led another branch in the region. The Hong Kong postures are similar to the Shanghai postures, though the stances are generally smaller and higher, and the body leans and sways to a greater degree while practicing. Wu Kung Yee is famous for answering the challenge of a white crane stylist, Master Chen, and defeating him. The match was judged by a panel including Tung Ying Chije, a Yang-style disciple of Yang Chen Fu. 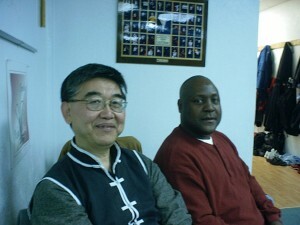 The mutual respect between the Wu and Yang branches displayed here was passed on to later generations of practitioners. In 1957, Chan Ten Hung, a nephew of Chan Wing Kwong, won a unanimous decision in an official public match in Taiwan against the current Taiwanese champion, famous for his kicks. In the 1970s, Hong Kong Wu stylists won championships in southeast Asian full contact bouts. One can see that their techniques are more focused on fighting, throws, and body conditioning. Shanghai Wu style focuses more on gentle maneuvering and smooth continuity, subtle manipulation of central equilibrium, and softness in movement. All regional variations, however, show the Wu characteristics of a small external frame counterbalanced by a spacious and strong internal structure, and all utilize the slanted erect position. The Shanghai Chien Chuan Tai Chi Society was until the late 1990s led by Master Wu Chien Chuan’s daughter, Wu Ying Hua and her husband, Ma Yueh Liang. Wu Ying Hua passed away in 1996, Ma Yueh Liang in 1998. Their son, Ma Hui Long, now leads the society. I have researched the rare 63 photos of Master Wu Chien Chuan’s postures in a book by his second son, Wu Kung Tsai, published in Hong Kong. I have also studied Wu Tai Chi by Wu Ying Hua of Shanghai, Chuan Zee Yee’s book from Beijing entitled Wu’s Tai Chi Book, as well as Wu’s Book of Tai Chi by Wang Pei Sheng of Beijing about the Northern Wu style. 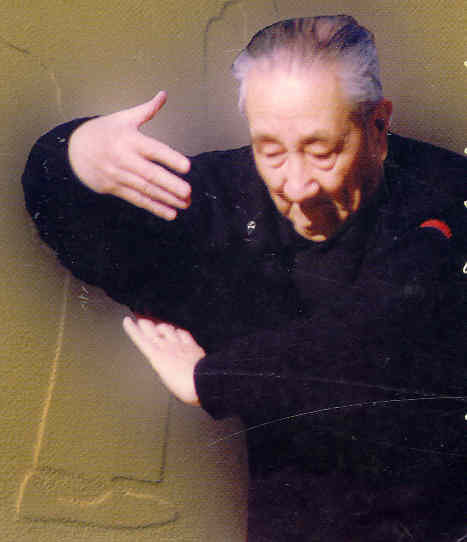 Besides small differences in technique, all the texts show the special principles of Wu’s Tai Chi Small Frame performed with elegance. The postures are compact but not crowded. The tempo is slow, even, light, and rounded with the internal feelings of substantial versus insubstantial, and absolute void or receptiveness. Energy is compressed in spiral movements to feel the connection with the gravitational force. All this, along with the correct postures of Master Wu Chien Chuan, is essential to achieve the most important internal force of Wu style Tai Chi. This is the method of heart. It is the central equilibrium that is the force of the earth which enables our head to support the Tai Chi, our arms to embrace the eight trigrams and our feet to step on the five elements. Externally, the Wu style displays a pronounced straightness in the lower back when compared to other Tai Chi styles. The body inclines slightly to the front. From the head to the back, the leg and the heel form a straight line. Instead of just relaxing and dropping the hips, it is required to bow the lower back or waist to reverse the arch or sway of the lower back. The chest will naturally relax or slightly depress, the hips will tuck forward, and the crotch will lift. This posture allows the chi to sink to the tan tien. The top of the head is lifted, so the chi or energy of the body can flow to keep the body centered and the spine erect. Because of its small frame, the Wu style appears different from other styles. To discharge the forces of the press and the push and impart maximum velocity requires an inclined upper body in order to create more distance. The bow of the lower back is kept in place to connect the upper and lower extremities to the ground. For example, the famous Plow Oxen stance appears externally slanted, but internally the crown of the head and the heels are in a straight line. The spine is straight, allowing the chi to flow thoroughly. The Classics define double weighted as incorrectly using rigid, stiff force against oncoming force. To avoid this mistake, one should use rising, yielding force to reverse any oncoming force. It is unavoidable to support the body weight with both feet at certain points in the shifting of stances. The single whip in Wu Tai Chi, for example, is externally a horse stance, which is correct and anatomically normal. The internal force, however, is in motion from one foot to another. Hence, it is incorrect to interpret this horse stance as a double weighted posture. The idea that Wu style is specialized from yielding and softly diverting and Yang style for pressing and discharging comes from the students of the two masters, and is a misconception. Yang’s effectiveness in pressing and discharging was apparent to students of Yang Cheng Fu, who weighed close to three-hundred pounds. A slight touch of the master’s press would bounce off a student with great force. Conversely, Master Wu was a very gentle instructor, dispersing the student’s force to avoid hurting the student or his feelings. Each respected the other’s kung fu skills as equals when they demonstrated their prowess at public charity events. The idea that the two forms have different relative strengths was proven false at the first demonstration of the two in Shanghai. Seeking each other’s internal force through asking and answering without giving any slack, they demonstrated push hands’ highest skill. After an engagement of advances and encounters, the two masters smiled in recognition of the other’s proficiency. Carried out with serious intent and respect, the match showed each master seeking the other’s flaw without favoritism for pressing or yielding. For there is truly no difference between softly diverting and discharging. Within softness there is hardness, within hardness, softness. This is Tai Chi’s Yin and Yang principle. From both external and internal aspects, Wu style is completely in accord with the Tai Chi classics. Traced back to its roots, Wu style shows one hundred years of development. The first generation, Grandmaster Chuan You, incorporated the soft elegance of the big frame Tai Chi from the first generation of the Yang style Grandmaster Yang Lu Chuan with the quick, sudden force of compact small frame Tai Chi from Grandmaster Yang Bang Hou, the second son of Yang Lu Chuan. Chuan You’s son Wu Chien Chuan inherited his father’s creation and developed it into modern Wu style. Indeed, Wu style is the fruit of the passionate effort of the great masters of all the Tai Chi Chuan styles that evolved before it. The rich history and roots of Wu style should merit the recognition of its individuality in the garden of Tai Chi styles. The second generation Master Wu Chien Chuan was originally employed by the Ch’ing court in the palace battalion of the Imperial Guards. After the emperor Puyi abdicated the throne, Chief of General Staff Yin Chang recommended Master Wu Chien Chuan to President Li Yuan Hong. Subsequently he was appointed teacher to the Eleventh Corps of the Presidential Body Guards. Among his students were Chiefs of Staff Chang I Ke, Tuan Chih Kui, Lu Mian and others. In 1916 Wu Chien Chuan, along with other famous Wushu experts of the time Yang Shao Hou, Yang Cheng Fu, Hsu Sheng Chi Tzu Hsiu, Sun Lu T’ang, Liu En Shou, Liu Tsai Chen, Chang Chung Yuan, Tong Lian Chi, Chiang Teng Tsui, Hsing Shih Ju and others established the Beijing Institute of Physical Education. The Institute recruited more than sixty students from the teaching ranks of high schools and universities throughout Beijing. Master Ma Yueh-Liang,the son-in-law of Master Wu Chien-Chuan, graduated from Peking Xie-he Medical College. He was addicted himself to Chinese martial arts when he was young. Wu’s and Ma’s families were friends for ages, so Master Wu Chien-Chuan told him: “The Chinese martial arts need single-minded, if you can abandon your learning to follow me, I will teach you.”So he learned from Master Wu Chien-Chuan. After Master Wu Chien-Chuan died, the Association in Shanghai was run by Ma Yueh-Liang and Wu Ying-Hua. The husband and wife wrote the books of Wu Style Simplified Tai Chi Chuan, Wu Style Tai Chi Fast Form, Wu Style Tai Chi Chuan Explanation in detail. Grandmaster Johnny Kwong Ming Lee or Lee Kwong Ming was born in Shanghai,China. In 1958 his family moved to Hong Kong, where at the age of 12 he began studying Northern Shaolin My Jhong Law Horn Kung Fu under the late Grandmaster Yip Yu-Ting. Master Yip was a respected and recognized member of the Four Supreme Excellent Masters of Hopei, China. He took Master Lee as his last personal student. In 1965 Master Lee became the personal student of the late General Sun Paul Kung. General Sun was a disciple of Grandmaster Fu Chen Sung, one of the original Five Tigers from Northern China. He taught Master Lee internal Kung Fu, Dragon Style Pa Kua Chang, Chi Kung and Wu Style Tai Chi. Master Lee also became the personal indoor student of the late Grandmaster Ma Yueh Liang, the Chinese Martial Arts national treasure of Wu Style Tai Chi in Shanghai. 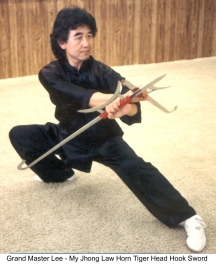 In 1974 Master Lee moved to the US where he became one of the first Chinese masters to introduce the traditional Chinese Martial Arts into mainstream America. Master Lee has been featured in many national Martial Arts magazines and has appeared on the covers of Tai Chi Magazine, Internal Arts and Journal of Chinese Martial Arts. Internal Arts magazine recognized him as one of the most knowledgeable masters of Pa Kua Chang in this country. Inside Kung Fu magazine called him a nationally respected instructor of the Chinese Martial Arts and Pa Kua Journal said he was one of the two best known Fu Style Pa Kua masters in the United States. He was also named Instructor of the Year and inducted into the Black Belt Hall of Fame. In 1998 he co directed, with Jeff Bolt, the World Kung Fu/Wushu World Championships in Orlando, one of the largest International Kung Fu tournaments held in America. This tournament was shown on ESPN. The high degree of proficiency of Master Lee’s teaching skills, applications of technique and theoretical insight into the Chinese Martial Arts, both internal and external, are best demonstrated through his students. They excel in national and world tournaments and hold many championship titles in forms, sparring and push hands. The headquarters of Lee’s White Leopard National Association are in Dallas, Texas. The branches of his schools are in Louisiana, Florida, Arkansas, Georgia, South Carolina and Tennessee.